Most of the components that make up these brands’ products are made by even fewer companies: Emerson, Johnson Controls and Honeywell. Also, these companies are huge billion-dollar conglomerates. They all utilize very rigid quality processes incorporating multimillion dollar machines that produce nearly mistake-proof products. They’re all pretty good at building HVAC units. So, what’s the difference? Typically, there are small differences on the very top-end products, such as who has the bigger touch-screen thermostat, or is it 98.4 percent or 98.3 percent efficient. But, these are insignificant at the end of the day. So, what’s the big, clear-cut difference? The installing contractor. 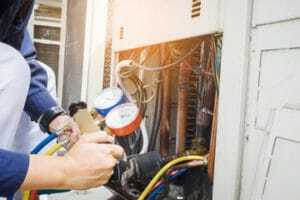 According to experts, a central air conditioner’s performance depends at least as much on how well it’s installed and maintained as on the equipment itself. Furnaces and air conditioners don’t just snap together and plug in. That’s where our 20+ years of combined experience come in. 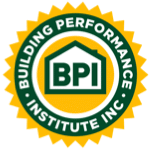 Its the installing contractors that make a difference in how efficient your system runs, the longevity, etc. 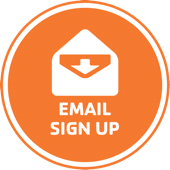 Enertia HVAC/R offers industry leading labor warranties and all of our equipment we install come with 10 year+ manufacturing warranties to prevent any defects. 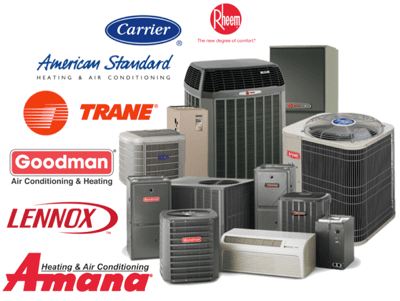 We service all makes and models of HVAC brands – Trane, Rheem, Lennox, Goodman, American Standard, Bryant, Carrier and more. We are a HVAC/R Contractor (Heating, Ventilation, Air Conditioning, and Refrigeration) dual licensed by the state of Texas. In addition, we are a Home Energy Performance Contractor & Whole House Energy Consultant with RESNET HERS Rater National Certification. Combining HVAC with Home Performance, along with 20+ years experience, Enertia HVAC/R offers a unique combination of skills and experience that can help save you money on energy cost. We guarantee you will be happy with the job we do for you!